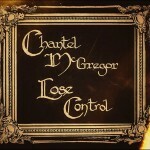 Share the post "Album review: CHANTEL McGREGOR – Lose Control"
For an artist who has made her mark by always being in control – she’s the songwriter, co-producer, guitarist, vocalist and is even responsible for the art work and photography of the CD cover – Chantel McGregor’s Southern Gothic imagery allows her to dip into the world of disturbed characters and those unsettling feelings that have kept the Coen Brothers in work for years. She doesn’t quite throw caution to the wind in search of her art, but rather explores related themes of longing, loss, despair and disconnect, via 10 well thought-out songs with real depth and musical weight. She tells us the title track is predicated on a duality that could refer to the physical or spiritual experience of losing control. It’s a restless song, powered by an insistent riff and spiky, gnawing guitar break over a stuttering rhythm track that reflects its edgy subject matter. Conceptually speaking, ‘Lose Control’ is the cornerstone of the album, though it’s not the best song on a very good effort. The fact that the starkly contrasting ‘Burn Your Anger’ –complete with a big hook – the breathy ‘Anaesthetize’ and the proggy ‘Walk On Land’ are all contenders for that accolade, reflects the album’s quality, diversity and originality. Chantel’s dark, Southern Gothic vision is derived from the usual sources of film, music, photos and literature and she transform those strands into a big sounding sonic landscape. This is Chantel’s second album in four years and sets herself the task of breaking out of the blues mould that has sustained her so far, to incorporate familiar rock styles (metal, grunge and prog) into something that is uniquely her own. She does so with a confident vocal range, stellar phrasing and pristine diction. Her guitar parts are an integral part of the arrangements and act like an extra voice to express those feelings beyond her lyrics. Her playing vacillates from the understated to the intense, be it on the sledgehammer riffs of ‘Your Fever’, the mid-song slide guitar part of the bluesy ‘Southern Belle’, or the clever change of tone and buzz guitar of ‘Killing Time’. ‘Lose Control’ is a very personal album, from its origins in her shed at the bottom of the garden to the implicit trust she puts in producer Livingstone Brown, who glues together the intrinsic dynamics of a multi-layered album. ‘Anaesthetize’ finds Chantel at her most emotive. Her stature as a songwriter palpably grows as she successfully tackles the harrowing issues of addiction and loss while pushing herself vocally to convey the meaning of her lyrics. This entry was posted in ALBUM REVIEWS, ALBUM REVIEWS (Mobile), All Posts and tagged acoustic, album, blues, Chantel McGregor, Coen Brothers, gothic, grunge, guitar, interview, Livingstone Brown, Lose Control, metal, review, rock, vocals. Bookmark the permalink.